If you are an exchange student or a migrant who aims to study and/or work in the United States, you will surely need to get translations for all your personal documents. If you wish to study abroad, you will have to provide certain essentials for proceeding with the admission procedure. The first and foremost of which are the documents. And among them, educational documents such as diplomas and transcripts are mandatory in most scenarios. For them to be accepted by the foreign university they must be translated by professional translators. 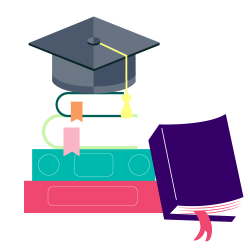 You need to have your school records like diplomas, transcripts, university degree credentials, and any other academic documents to be translated into English. For purposes of university admission, employment, and immigration, the party requesting for your documents will normally require you to submit copies along with the certified and/or notarized translations. 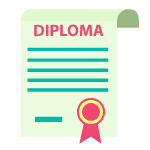 Diploma and/or a foreign degree translation is mostly requested by companies, schools, colleges, universities, and other educational or academic institutions. These are for credential evaluation and school admission purposes. Others are for employment and legal usage. For these reasons, we are here to offer and provide you with the most cost-effective diploma translation services that you might need. Our in-house expert translators will do diploma translation from various languages into English. We translate diploma to English and provide you with the certified translation, or even a notarized translation, depending on what your requesting party requires. Our translation company has all the necessary tools, facilities, and the workforce to cater to all these needs. Aside from diploma translation, we are capable to translate bachelor degrees, and we can also translate masters’ degrees. We always ensure that all our projects are closely monitored. Our customer service platform uses live chat for faster responses and communication with all our clients. Certified Translation is here to provide certified diploma translation services from more than 120 languages into English. We have quality standards to which we strictly adhere. You can rely on our most accurate translations, guaranteed to be accepted by any university in the US. 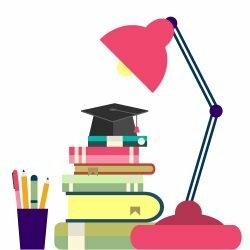 Need to have a Bachelor’s Degree, a Master’s Degree or a Ph.D. Degree translated and certified for admission to an US university? We translate any degree, from any language into English, in 24 hours. Notarized translation for such documents is also available if needed. Academic transcripts may be hard to translate, yet we charge you the same: $20 if the page is under 200 words, or $0.12 per word if it’s more than 200 words. Our certified translations have always been accepted by any school, college or university in the US as we translate according to their requirements. 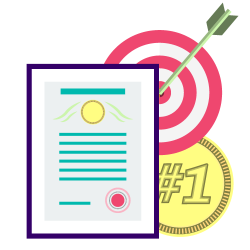 For a certified translation to be done, the translator will have to sign a certifying statement at the end of the translated copy of the document. This would attest to the accuracy and completeness of the translation, as well as the competence of the translator. A translated document that is being certified may be or may not be notarized. For a notarized translation however, the document must first be certified before it can be notarized. 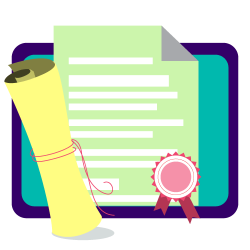 For academic translations, a diploma is always needed to be certified but may not necessarily be notarized. 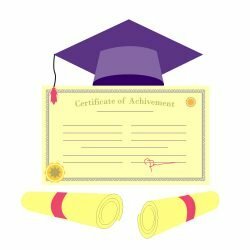 Notarizing a certified diploma translation will depend on the requesting party or who’s asking for it. Diploma and/or degree translations are essential for faster processing and approval of any admission application and/or immigration-related petition done in the US. This is why we have employed the best translators to do the job. We take your translation needs as our own, so we work on every diploma translation or degree translation with the affordability, highest quality, and certified accuracy that no other translation company or agency can offer. We translate diploma to English and deliver it at the fastest turnaround time that you have specified, or even sooner. We always see to it that all your demands are met to ensure full customer/client satisfaction. We can guarantee that our services are on top of the line, yet still at the most affordable rates you can ever have. Avail now of our certified diploma translation services or any other translation for immigration that you need. We translate any document from any language into English. Digitization has taken a greater toll on our lives but little did it have any impact on translation industry. There are machine translations and then there are human translations, but none can surpass the results that humans can produce. 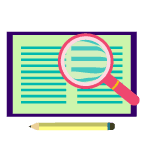 Our complete reliance with regards to the academic translation of transcripts and diplomas on human translators is what separates us from other translation service providers. The certificate of accuracy which is what makes it certified, signed and stamped by us. We have the industry’s best translators with us and to top it off we are available 24/7. The linguists that carry out your translations have years of experience in translating academic certificates and diplomas. They beat deadlines while remaining accurate, applying their potential to full use. If you want us to translate your academic documents from Ukrainian or from Arabic or any other language into English, feel free to get in touch with us now through landline, email or live chat. We would be more than happy to serve you. We offer certified diploma translation services of the highest quality, ready in 24 hours. By certified we mean that your documents will thoroughly be translated, thereafter proofread, signed and stamped by the translators or the agency head. We leave no loopholes; each and every step is carried out with precision and perfection. We assure you that the diploma translation services that we provide will be accepted by any university you are applying for, because we follow the rules and regulations imposed by each institution. To be certain of the level of certification of academic certificate translation, you should check with the relevant university. This will save you a lot of struggle and trouble later on. Certification – We ensure legalization through certification. We sign and stamp the certifying letter which is attached to the translated diploma and transcript confirming that the translation is done accurately by the translator. Notarization – In case of notarization, the document is signed and stamped by a Notary, hence authenticating the translation. When an academic transcript or degree is not written in English then there is a real chance that the transcript is also not being graded in the American style. 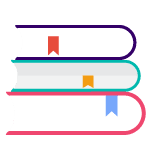 The translator will have to understand their grading system and provide comparable grades to the United States education system so that a congruent analogy can be formed for the reviewers to follow. The subjects that are taught in a foreign university can be much different from the issues that are shown in American universities. The translator has to review every subject title and come up with the closest title description to the one that is common in Education systems in the United States. The main aim of these translations is to make sure that the document is accepted at the university. That can be a challenge because when you look up the rules and regulations of universities in the United States, you realize that the rules are extensive for international students. International students require accurate translations to make sure that the documents that they have submitted are accepted by the institution. When you are looking for degree translation services, it is critical to use professional human translation. The highest standards of translation must be implemented to ensure that you get all of the advantages of your academic credentials, wherever you go in the world. Certified Translation has years of experience, and a team of professional translators provides exceptional skills in more than 120 languages. Whether you are planning for high school, university, or higher study abroad, you’ll need to translate your bachelor degree and your masters degree if they are in another language. Diploma translation forms the foundation of your application or other methods that determine your academic standing. A translation that is understandable to the target culture will make it easier for you to accomplish your goals. 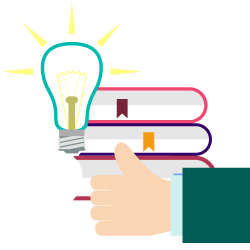 Diploma translation services can also be essential when you are finishing your studies. You might get that you need to submit your diploma to apply for a job. While this is usually only necessary during the initial period of employment, you might find that you need the translated documents numerous times for various employment opportunities. We go beyond necessary degree translation to adapting your document. No hints of meaning are lost when someone from the target culture reads your documents. If you submit a document to the university after translation and verification and it is rejected, your money will be wasted. That is why it is in your best interest to submit a degree translation that is done according to the specifications of the office and not against them. That is why you should only use professional translation services instead of freelancers.